This post has some absolutely amazing pictures in it, but let me warn you in advance it was not a good day. 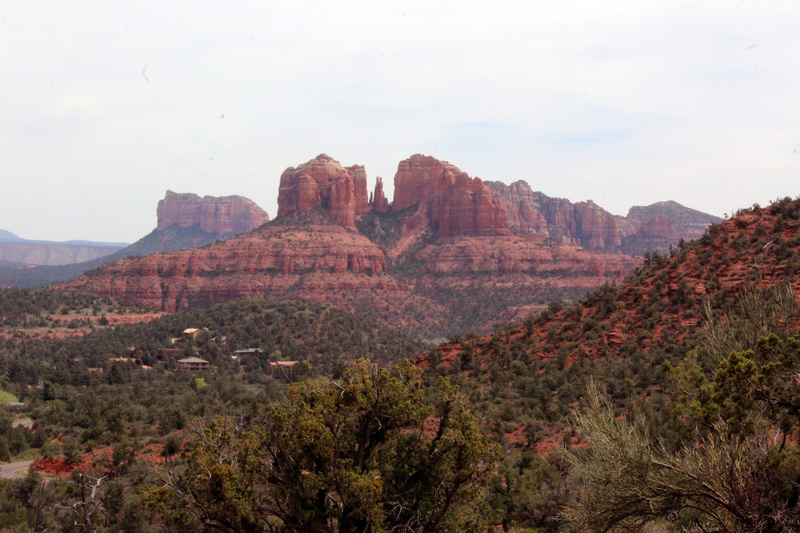 You can skip the words and just look at the pictures, but I wouldn’t recommend that on this one if you are planning on visiting Sedona, because getting those pictures was not easy. I also should mention that our day started with an argument, so the events that followed were somewhat colored by that. We are people who have bad days and this was definitely one of them. Fair warning. I woke up at 5am and started working on my previous days blog post. The posts with lots of pictures take me much longer (about 2 hours all in) and I like to get them done as close to when they happened as possible because I start to forget things or get events out of order. It’s especially hard when we have several heavy picture days in a row (200 or more pictures) and I was feeling the pressure of getting that all done before we started the day. Lee woke up around 6am and by 6:30 he was ready to go. That’s where the argument came in. I like to get going early in the morning also, but I was thinking 9am and he was thinking 7am and that two hours was a pretty wide chasm. There were greater issues at work of course and as the conversation moved from that particular day to discussion about how we were traveling in general things got a little heated. We reached a point where we could table it though and I jumped in the shower, we made a quick lunch, and we still got out the door by 8am. Part of the problem was we didn’t have much of a plan for the day. We knew there was a scenic drive and I wanted to see some of the shops (although Lee really didn’t want to do that) so we thought we would drive up and see what there was to see and wing it. 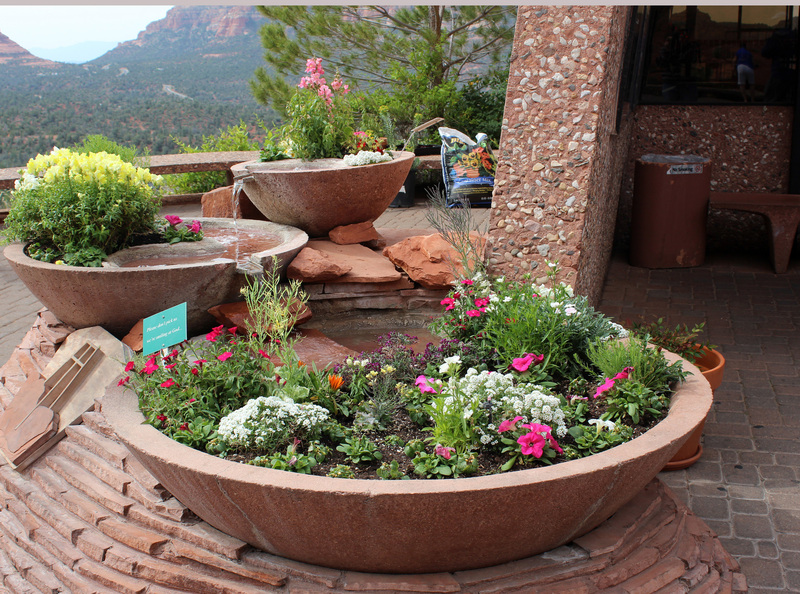 Maybe you can do this in Sedona when it’s off season, but it turned out April is very busy because of spring break and some planning was called for. We drove over to 179 and stopped at the visitors center and this is the vista we saw. All of a sudden I knew where I was. 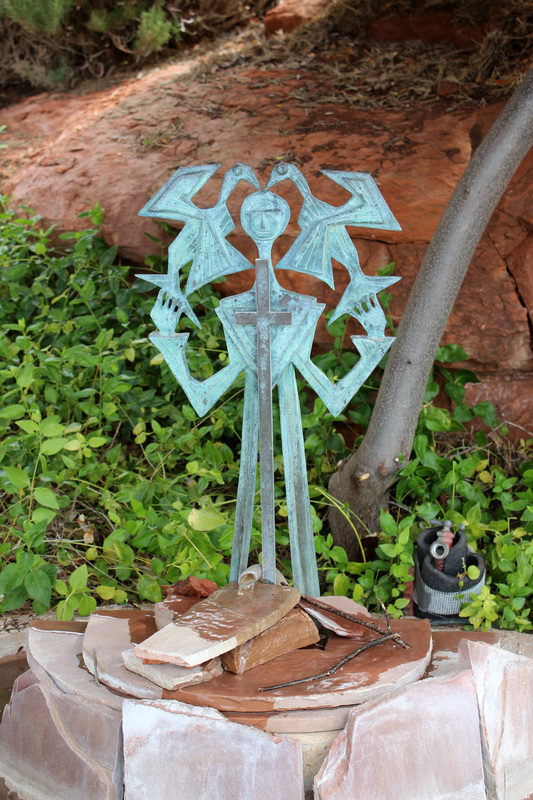 In our travels we have seen tons of artwork with these landscapes and I never really put together they were done in Sedona. I started to get very excited and my creative soul was definitely stirring. 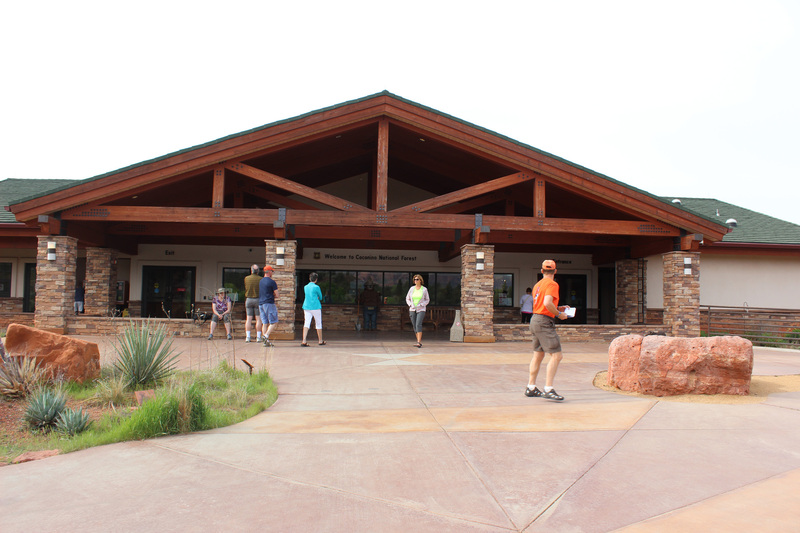 Since the visitors center opened in 20 minutes we hun out in the parking lot and waited for it to open and were somewhat surprised when a small crowd gathered at the doors. It was 9am on a Tuesday after all and generally that was a great day and time to see a place. We went inside and one of the employees pulled out a map and started to go through the area. Usually we would have skipped this, but as he talked I kept listening. He said, “Go here” or “It’s too late to do this” and “This is you scout day because it takes two weeks to really see the area.” Ok. He also handed out a magazine about the local shops in the area to the women in the group and said, “You’ll definitely want to stop there. We need your tax dollars.” Hmmm He also mentioned that most of the trail heads required a $5 day pass fee but since it was National Forest our America the Beautiful pass worked well. We were supposed to hang it in our window with signature/expiration side out and they had extra hangers for free in the gift shop. We did get a well marked map out of the deal though and 20 minutes and one magnet later we were headed up the road. 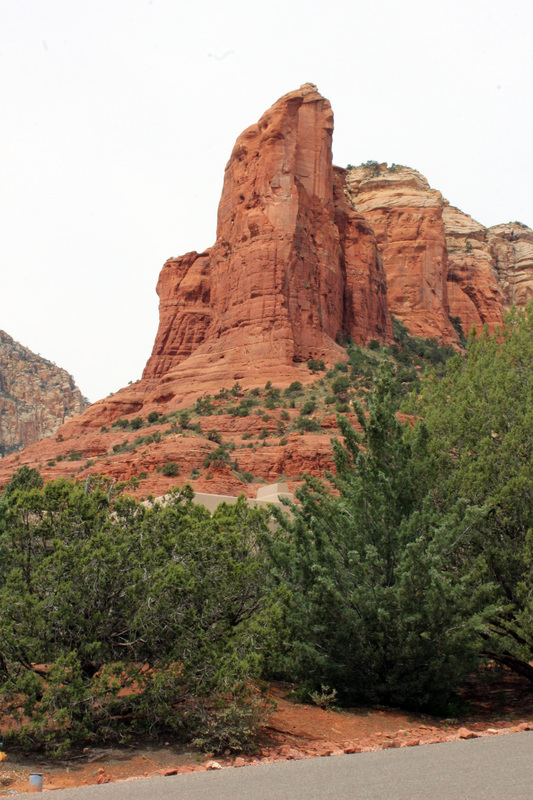 Our first stop was a view of Bell Rock and the views were absolutely stunning, Unfortunately the parking lot was small and completely full. I had Lee stop the truck long enough for me to jump out and snap a few quick pics but we headed on our way. 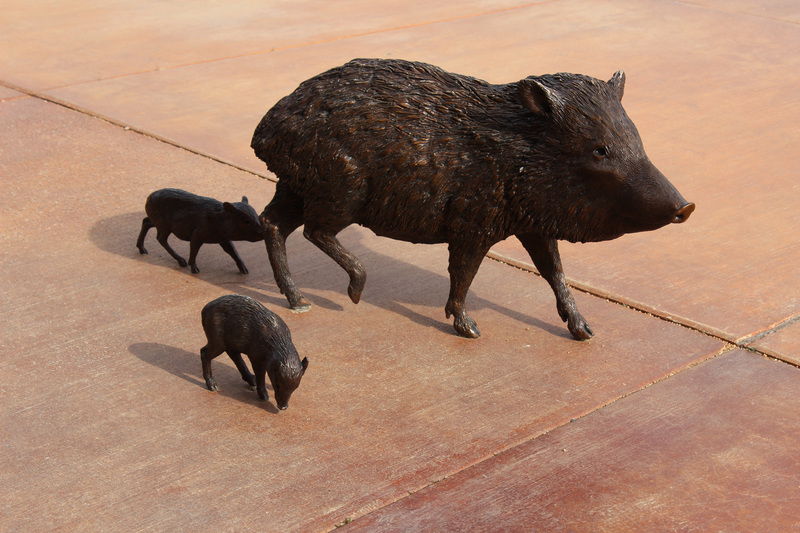 We weren’t to concerned that the place so near the visitors center was full, but were a bit bummed we couldn’t walk the path a little, but this was the type of thing we could come back for. Unfortunately the next few trail heads were smaller parking lots and again they were all full. The sites are also pretty small, so even if they weren’t full the truck couldn’t fit into all of them and the one case where we found a spot we could fit into, two small cars parked beside us and we almost got blocked in. Lee and I were starting to get frustrated. We had never been in a place that didn’t have pull overs on the road to take a picture, but these amazing views were flying by and we couldn’t take pictures. Finally when we came to the Cathedral we did find a place though. 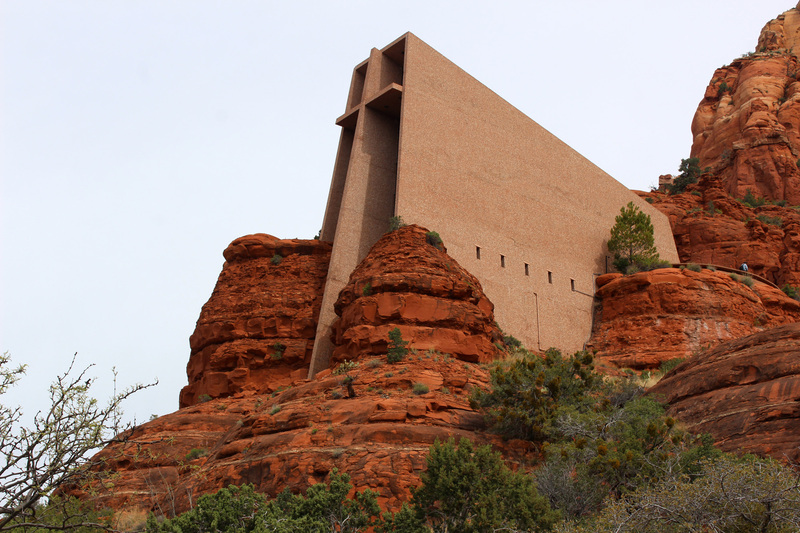 The Cathedral of the Holy Cross was built into the rocks and the land was leased from the National Forest Service for $1 a year for 99 years. It was a beautiful church but no weddings or services are held in it because the lease states no money can be made from the building. 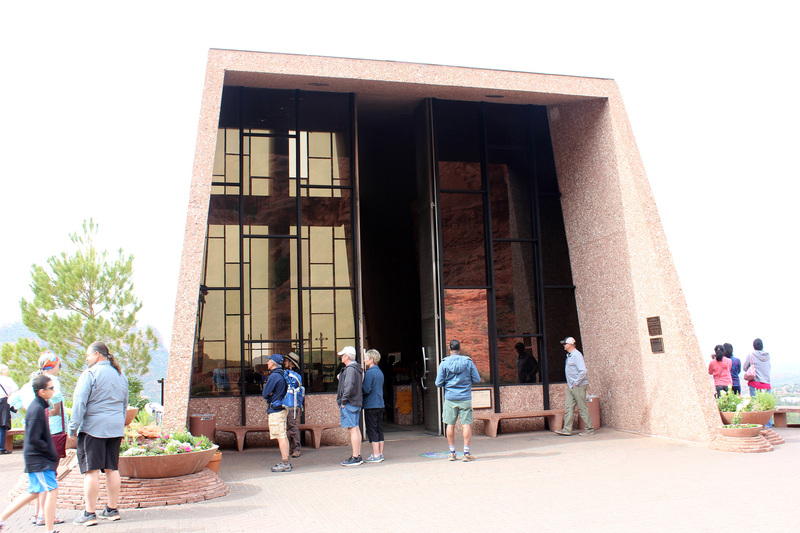 The look of disgust on the visitor center employees face when he told us that made it clear he didn’t agree with leaving money on the table. 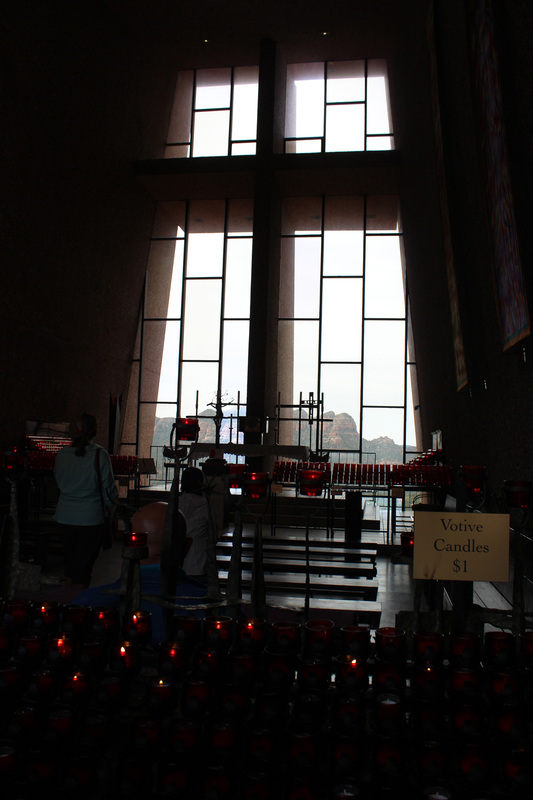 They did have a small gift shop though and took donations for candles, so I lit one for Lee’s grandma Anna who was a devout catholic and we make it a point to light a candle for her whenever we see a really neat catholic church in our travels. After the church experience, we both perked up a little and thought maybe the traffic was thinning out. 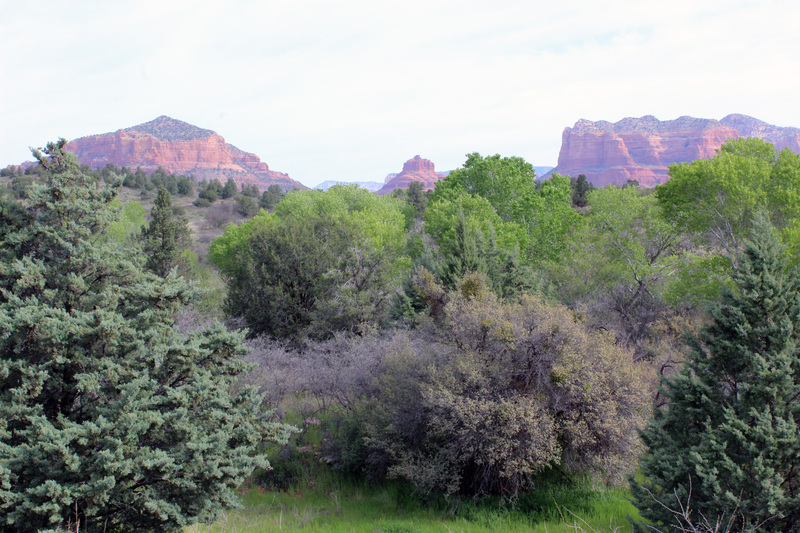 Next on our route was old town Sedona and since it was still pretty early there were places to park, but we just looked at the shops out the window and continued on our way. Unfortunately the next three trail heads/view points we passed were all full and signs like these were starting to become commonplace. The other thing we noticed was the Pink Jeep tours had fantastic access. We saw more and more of them as the day wore on and they didn’t need to find a parking place, because they could access the ATV trails that our truck couldn’t go on. I’m not a big fan of tour guides in general, but I will say after a day of driving around and being frustrated if you can afford it, I will go this route. I am sure it is pricey, but if I could customize my trip to take the pictures I wanted I would pay it in a second. 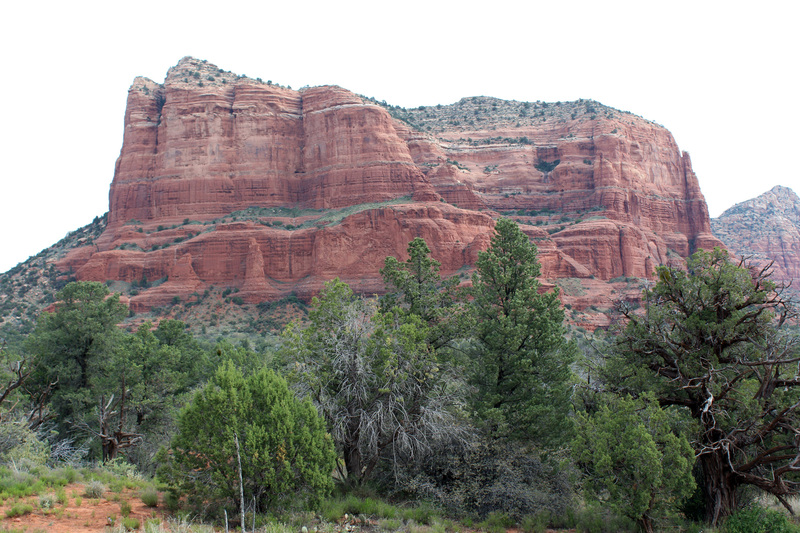 That’s how beautiful the terrain is and how much I wanted to just stop and take pictures. The other way to go of course would be hiking. 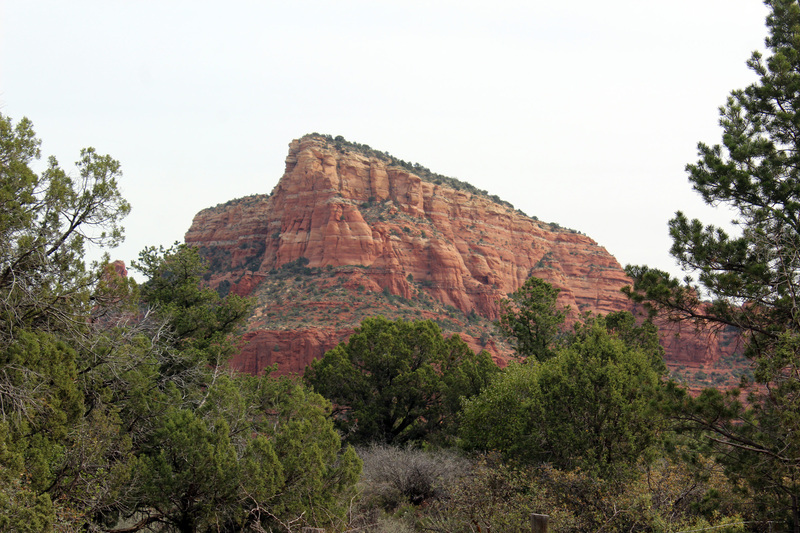 I am not opposed to that, indeed think it would be great, but since there are 20 plus hikes in different areas and you need to get to the trail head prior to 10am (per the visitor center) to get parking) you are really limited to 1 maybe 2 hikes per day. We absolutely want to take some hikes here, but to really cover the area in 1-2 days a jeep or maybe renting an ATV seems to be the way to go. 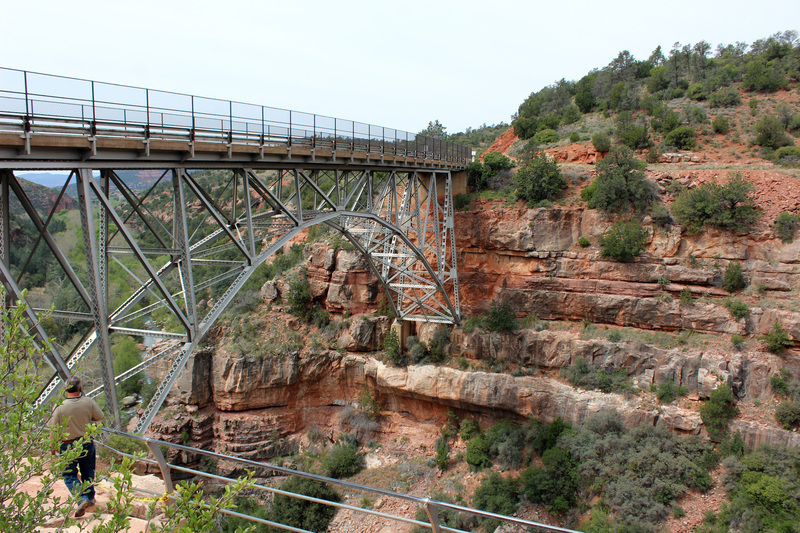 We were luck though and got a spot on the Midgley Bridge though and were able to walk down the stone stairs to see a cool ravine. This parking lot was really tiny, but we found a spot on the end and got some amazing pictures. I asked Lee about the drone but since this land is all National Forest no drones are allowed which is a shame, because it would have made for great video. After the bridge we were getting kind of hungry, and I saw on the map a picnic table sign, near the bridge. We pulled into Grasshopper Point Swimming and Picnic area and since we had the park pass we thought we could eat there for free. Nope. This was a National Forest area run by a concessionaire and was not covered by our park pass. We were not paying $10 to eat lunch so we kept heading down the road. There were a few National Forest campgrounds along the road, but no place to stop and eat lunch so we went down the road to Slippery Rock State Park. 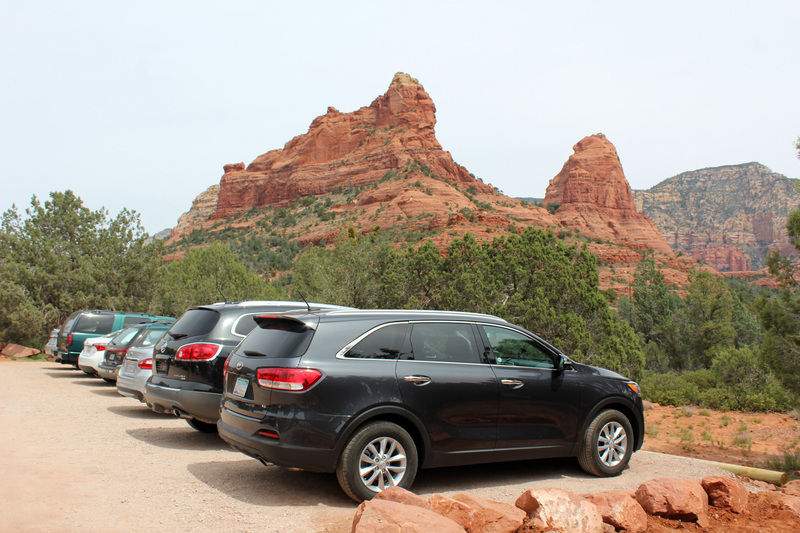 There was a line of 8 cars waiting to get into the park and since our friend Deb said how much they liked the trails there we thought we would see how much it cost and eaten lunch and maybe take a walk. It was $10 per car and since we hadn’t planned anything specific we decided we would give it a pass although we would be ok with paying it when we came back. 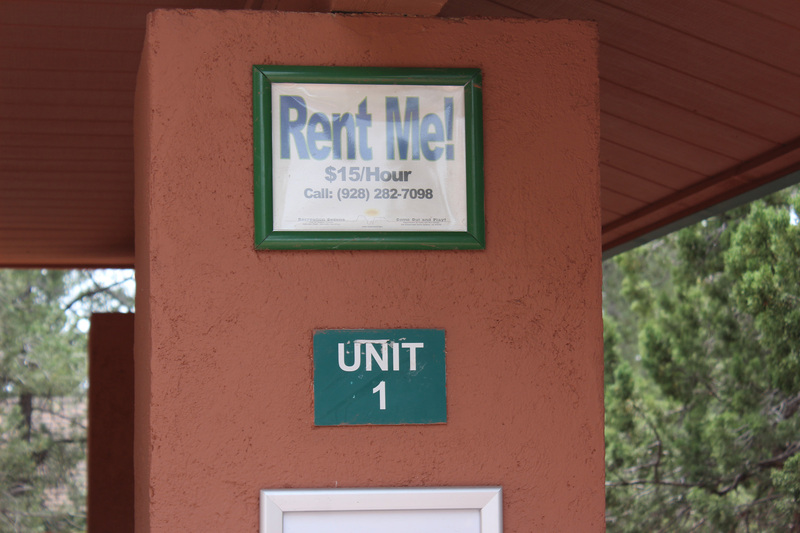 Lee and I don’t mind paying a fee for state parks when we are not residents, but we really are not happy about having to pay to be on federal land. We are fine with spending the $80 for the annual America the Beautiful pass, but feel it should allow entry onto all federal land. Tours, etc can costs more, but the idea that a for profit entity can carve out the best pieces of federal land and charge for that privilege really upsets us. Plus these views were absolutely stunning. We have been to much less beautiful places that had a dedicated road, vista viewpoints, and easy access and this was the complete opposite. 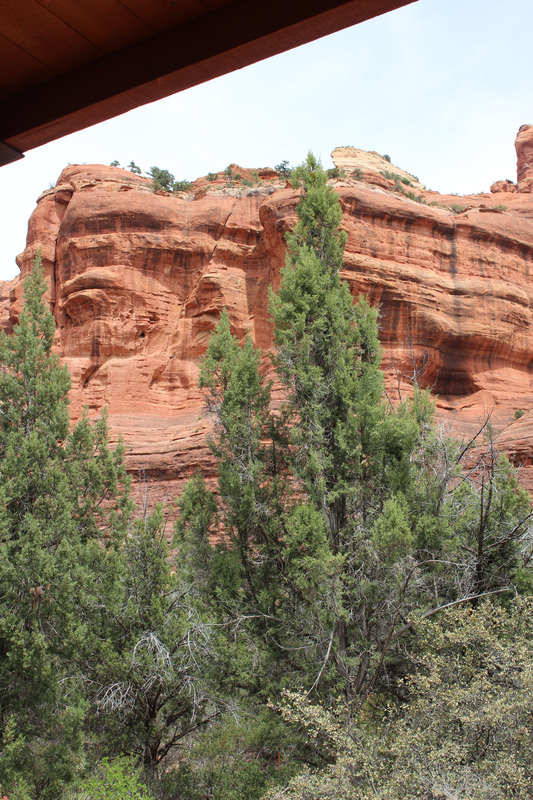 It seemed to us as if this was what commercializing National Parks would look like and we didn’t like it at all. 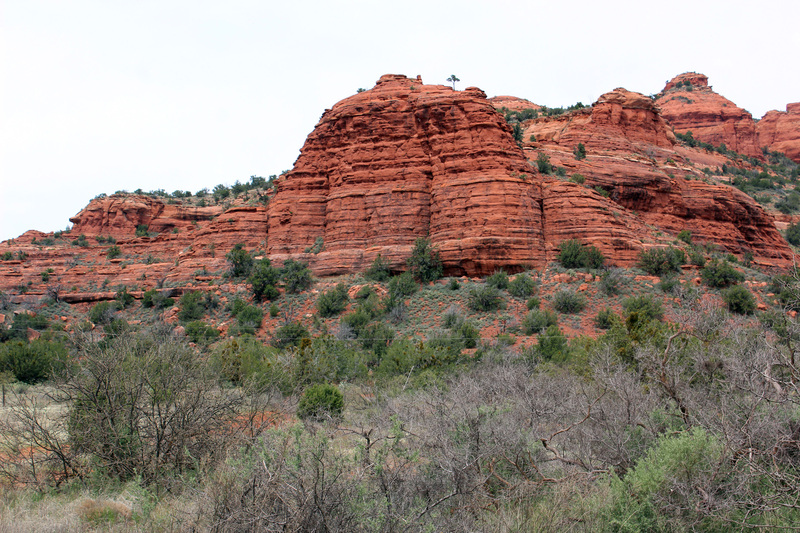 So we turned back around and decided to get off 179 onto 89A and try out some of the trails that were in the town of Sedona with the hopes that there would be less traffic and maybe we could salvage the day. 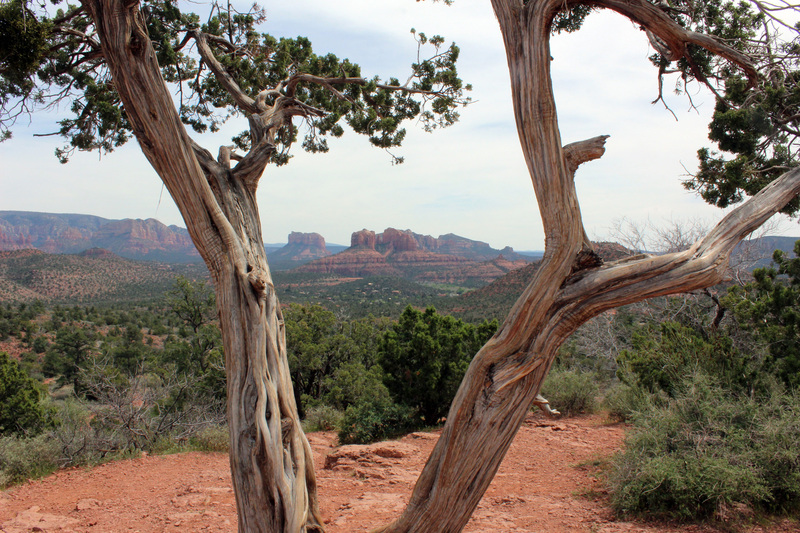 The first thing we did was drive to Airport road where the Visitors Center recommended a great vista. What he didn’t mention that the parking lot cost $3. At that point I absolutely refused to spend $3 to take one picture so we went back down the road and I saw a sign for a public park. I was starving and knew we had to regroup so we pulled into a small community park with swingsets and walked up to some very nice picnic tables. Guess what we saw. No one was there and at that point we said, “Screw it.” Lee was mad, I was mad, and if they wanted to send a public employee to chase us off when we ate lunch so be it. I was about ready to give up on the whole day, but I did want to stop and see the McDonald’s and get an ice tea. 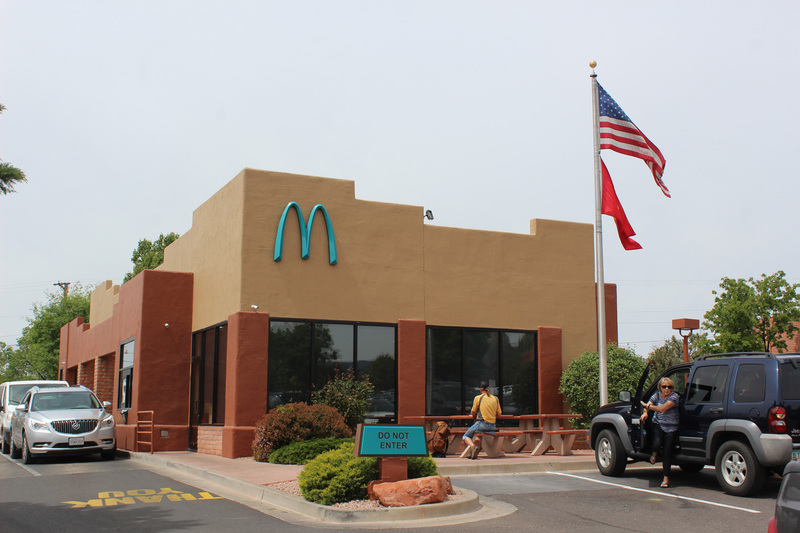 This is the only McDonald’s in the world with green arches and I sat in the truck while Lee went inside. He came back with an ice tea, a bonus ice cream cone, and a pretty interesting story. The person in front of him in line tried to order something, but was told this particular McDonald’s had a limited menu. The customer responded, “I am local,” but the woman behind the counter said they just didn’t have it. While the customer was waiting for her order to be filled, she glanced at Lee’s White Sands T-Shirt and when the person came back to the counter with her food said, “I wish all of the tourists would go home.” Nice. Here’s the thing. We have seen this before all over the country and are actually somewhat sympathetic to the problem. Living in a high tourist area is tough, but it is part of the price you pay to live in a beautiful place year round. What bothers me the most is when people want the tourist to come spend money but simultaneously complain they are there. You really can’t have it both ways. 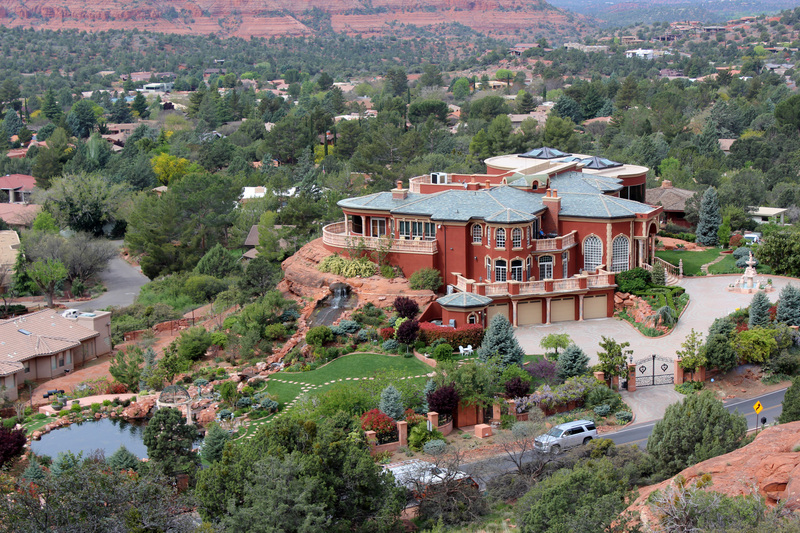 In this case I find it particularly bothersome because these folks are living right in the middle of a National Forest. All that being said for some reason the whole conversation made me feel better. The vibe we were picking up on all day was definitely legitimate and since I didn’t want to comply with the “get the hell out” sentiment we decided to continue exploring. I can be contrary that way. Our next turn was Dry Creek Road and this was actually much better. 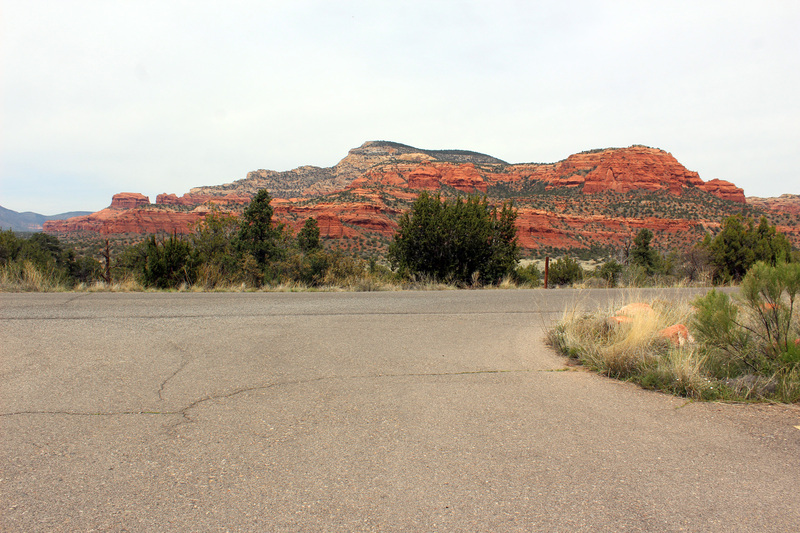 There are numerous trail heads along this road (many of which do not require the day pass), but more importantly you could pull over in some places and take pictures. 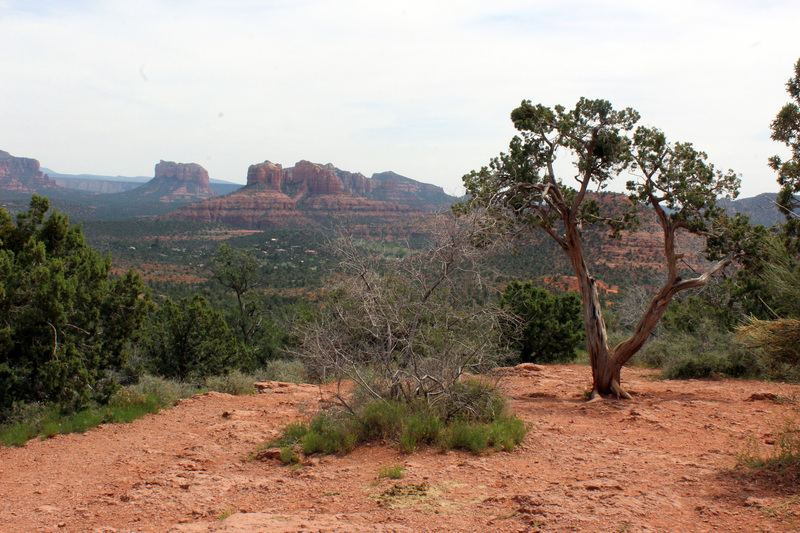 It wasn’t the stunning vistas that were near the entrance, but it got prettier and prettier the farther back we went. At the end of the road we reached Aerie Trailhead and there were spots open. It was a mountain bike trail and lots of locals were out, but we could park and take a few pictures. 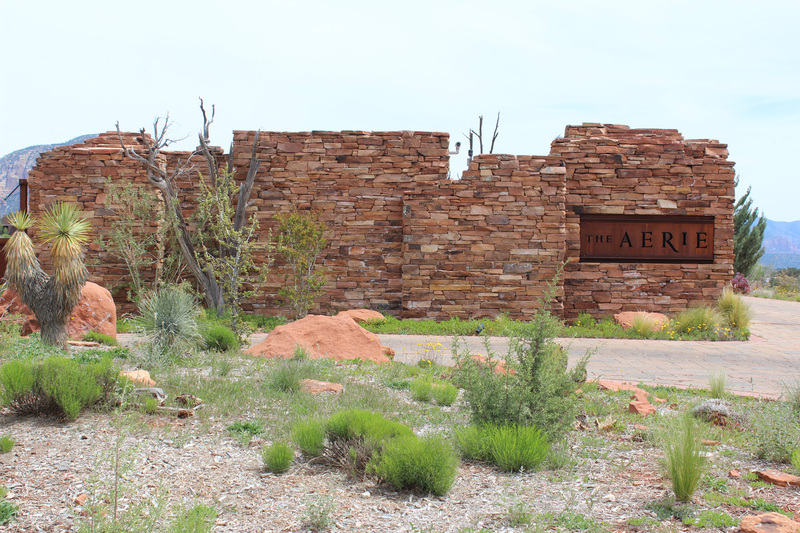 We also took a side trip up to the top of the aerie until we reached a gated housing community which was a dead end. Despite the dead end we were feeling a little better and took another side road to see what we could see. 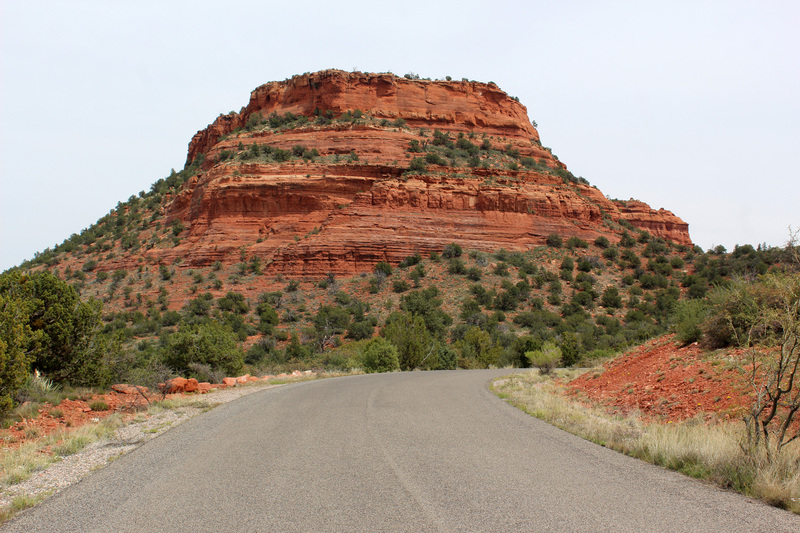 This road led to some stunning rock formation but had not pull offs and deadended into the Enchantment Resort and Spa which is at the mouth of Boynton Canyon. 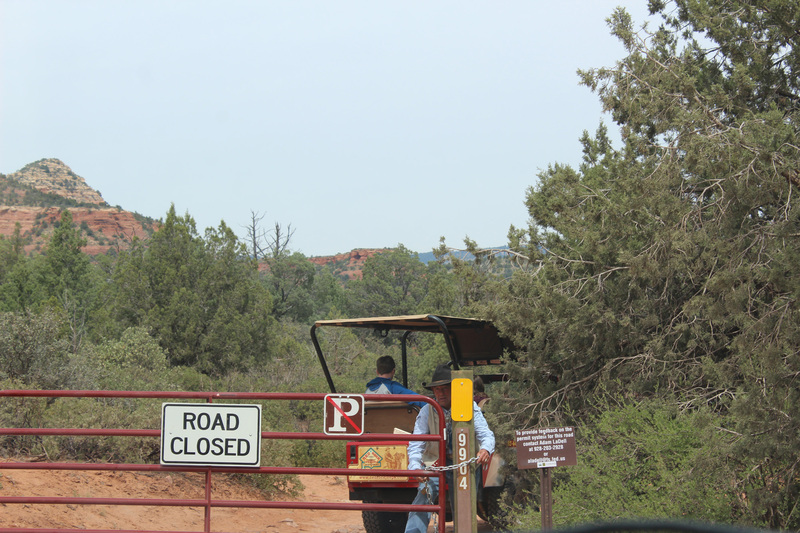 It appears the canyon is jointly operated by the resort and the National Forest Service and their are some roads for the jeeps, but we didn’t see anyway to access it with a car. We pulled in, were met at the gate and they allowed us to turn around in their parking lot. I managed to grab a quick pic and it was amazing. If you have the means this looks like a fantastic place to stay, low rates are around $650 a night, but for the rest of us it would be nice if there was a way to access this area because it was truly beautiful. All the formations around the resort looked like this and there was no other place I could see to stop and take a picture of them. 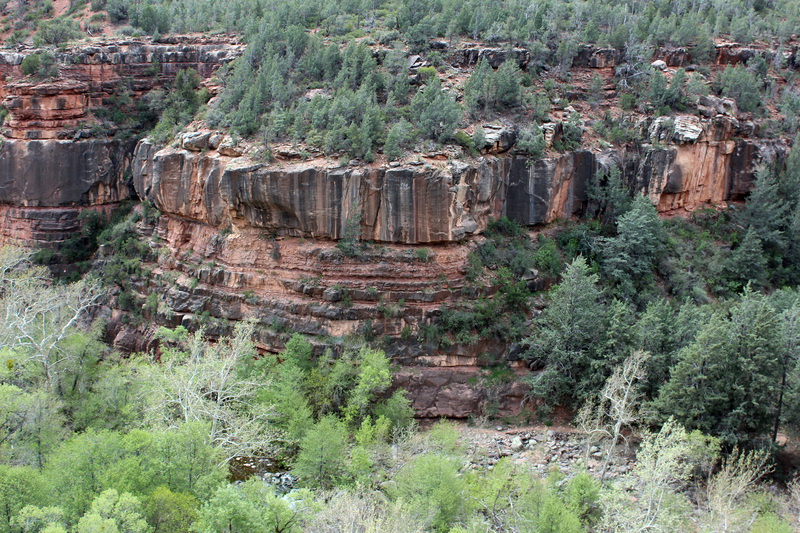 Enchanted Resort in Boynton Canyon. I pulled this from their website, which I refuse to feel guilty about because there is no way that I know of to get any shots of this and most of it is public land. On the way back out we were able to take a few more pictures and then we headed towards our last stop. 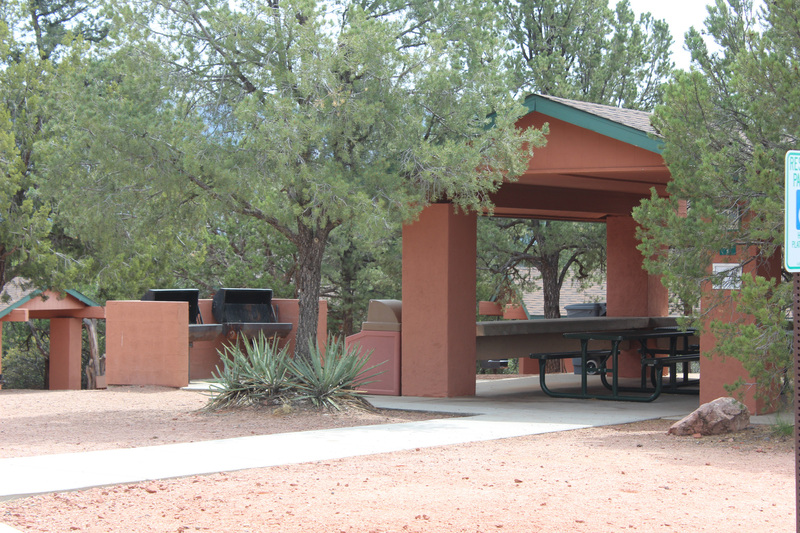 We had come to the end of the recommendations from the visitors center, but Lee saw in his research a place called Crescent Moon Picnic Area. 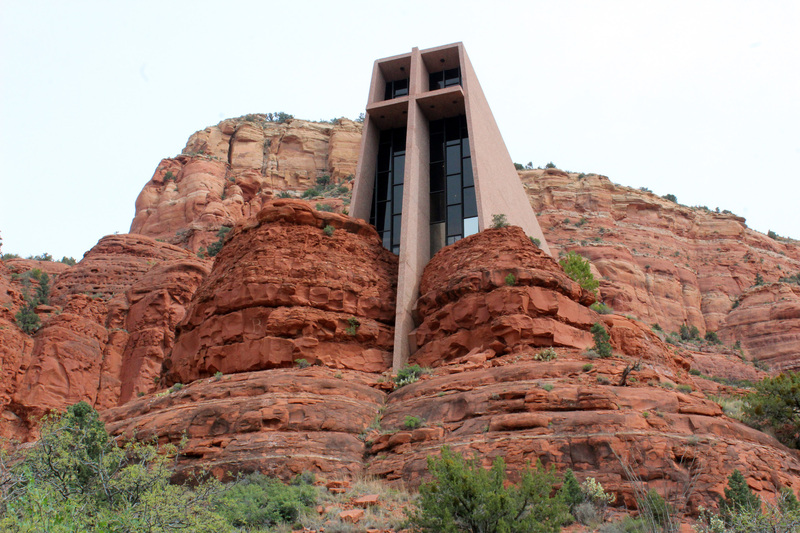 This sits below the iconic Cathedral Rock and is the place where many famous photos of the hour have been taken. Along the way we saw the first and only sort of random pullout in the entire area and walked up a dirt path to a stunning vista. There was a wedding party taking pictures and we got some amazing photos, which was a good thing because yes you guessed it, Crescent Rock is run by concessionaires and costs $10 to get into. 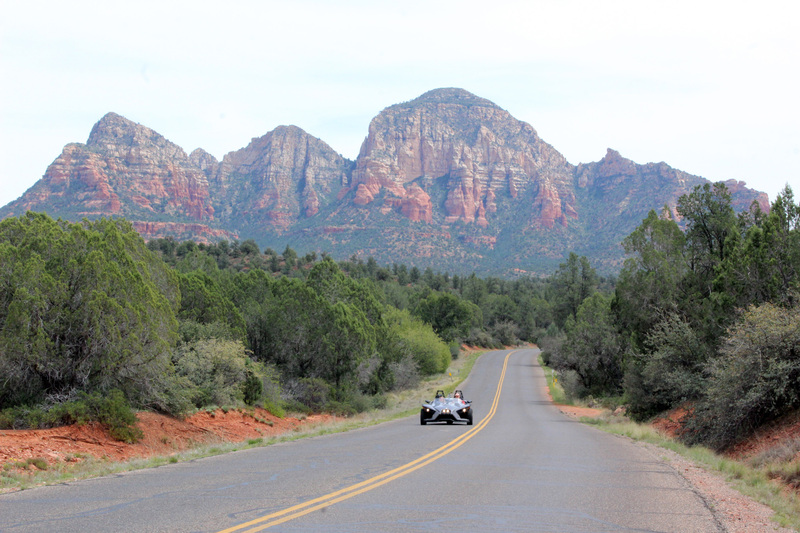 I’m going to say one more thing about all of this and then leave you on a high note with some beautiful pictures we took on Upper Red Rock Loop Rd. 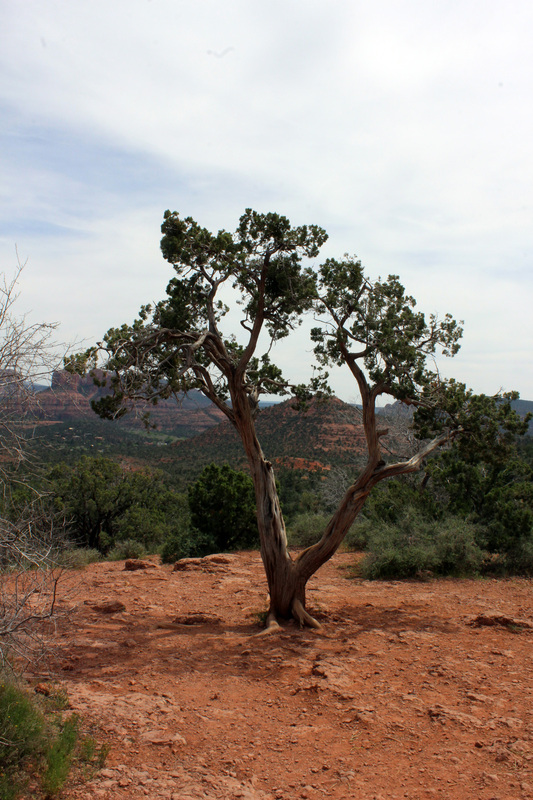 I love our National Forests and without them our lives (and many others) would be a much poorer place. I believe these free public places are what sets us apart as a nation from so many other countries and as a patriot firmly believe they need protection. That being said, I am also fiscally conservative and open to the government finding creative ways to partner with private industry to help keep costs down. But, and it’s huge for me, those partnerships must always be made with the public good in mind. 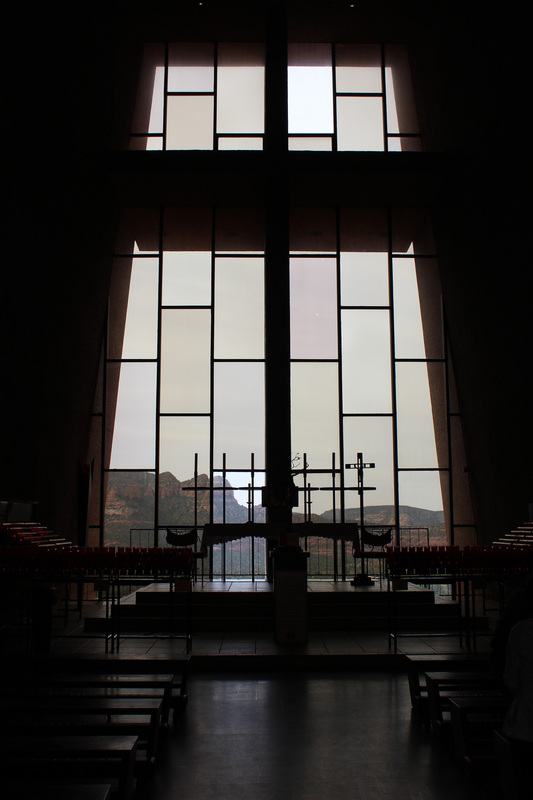 Sedona, in my opinion, has gone way to far in the wrong direction and honestly I would care less if it wasn’t so stunning. We have been to Glacier and Denali, and countless other places where the vistas take your breath away. This area is that amazing. 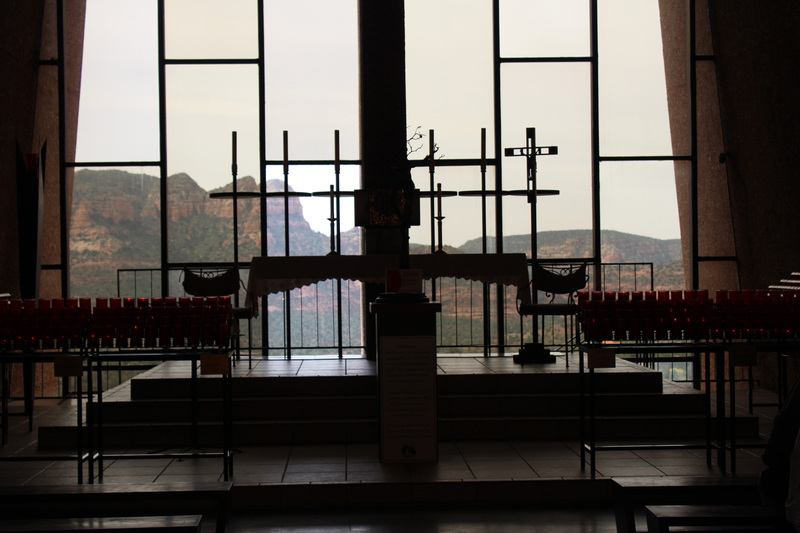 We will come back and we will find a way to work around what is happening here, but from my perspective it is practically criminal that they have made it so hard and expensive for us to experience this beauty. Don’t take my word for it. Here’s what we stumbled across only by perseverance and dumb luck. That should never happen. Cathedral Rock with my long lens. Not with the naked eye. This is what we would have seen from the picnic area if we would have been willing to spend $10 for the privilege. At some point we probably will. It was that beautiful. 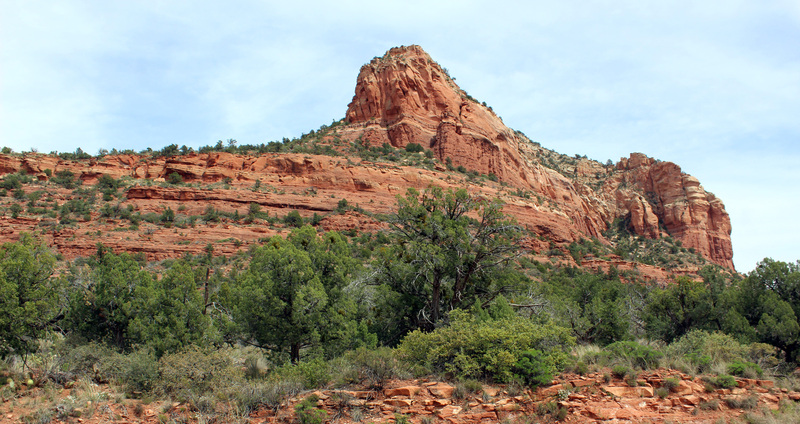 This entry was posted in Lakeside and tagged Aerie Trailhead, Cathedral of the Holy Cross, Crescent Moon Picnic Area, Grasshopper Point Swimming and Picnic Area, Midgely Bridge, Sedona Arizona, Sedona McDonald's, Upper Red Rock Loop Road. Bookmark the permalink. Awesome photos. Thank you. Pic of you smiling is like a warm hug! Beautiful. Beautiful pictures, thanks for sharing the realistic side of the experience for those that will come after you. Interesting post. 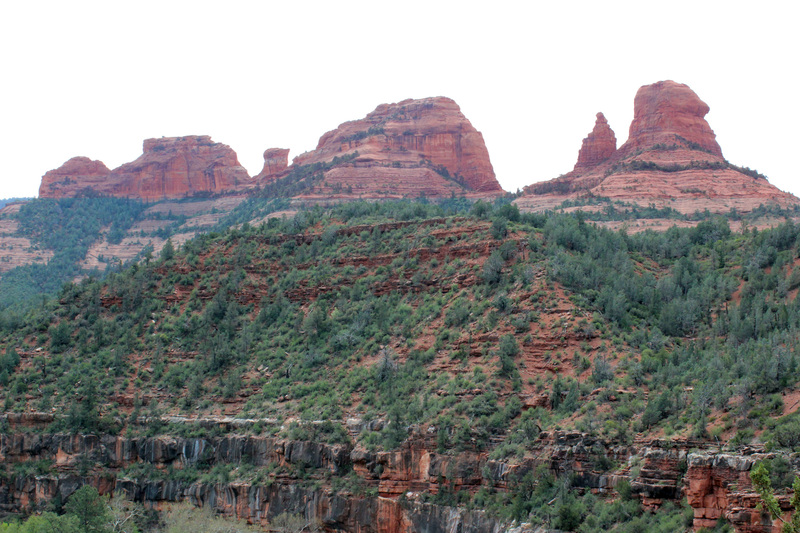 I think I’ll leave Sedona off my itinerary, even though I have a jeep and would love the trails. Imagine how much it would have cost if you had actually stopped and paid at all those place! Great pictures. 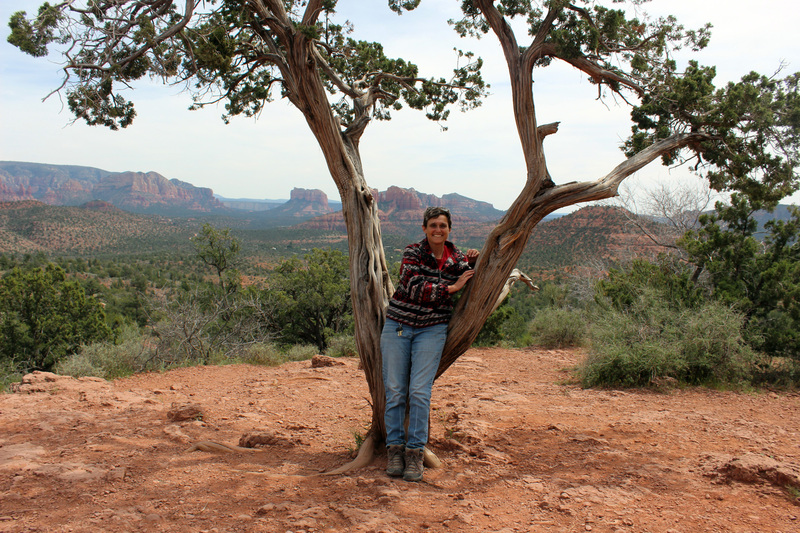 I love Sedona! Great pictures, brought back many good memories. I was there many years ago and didn’t have any problem with crowds or grumpy residents. Eileen and I are hoping we have time to drive through there in September. 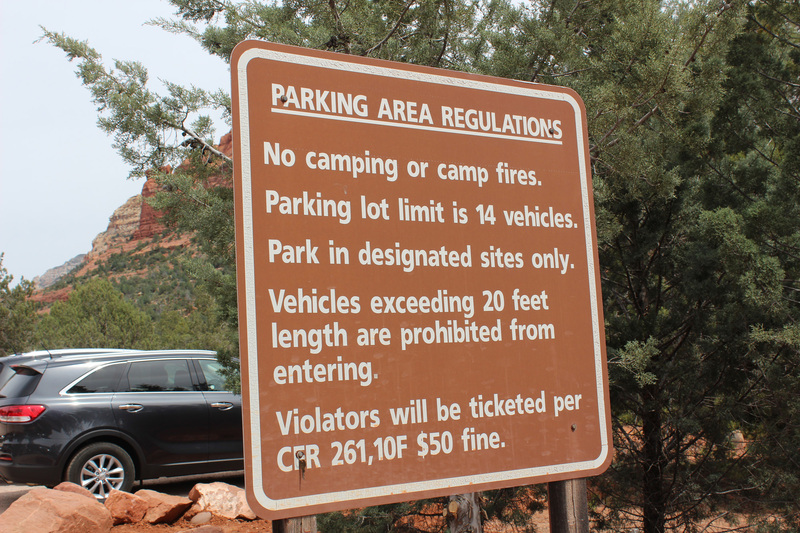 I don’t like the Park Service partnering with companies that don’t accept the Annual pass. We ran into this in Northern VA, when we camped at a NF campground. 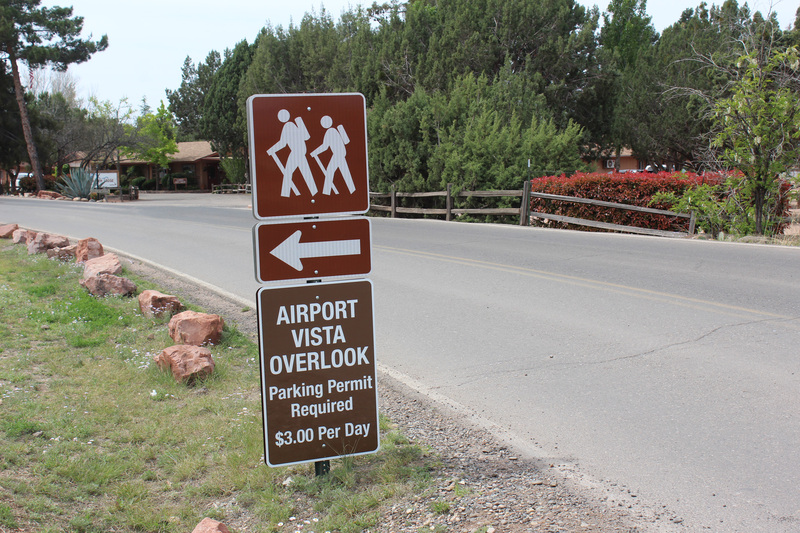 They did not accept the pass and their cost was high for the quality of the campground. I think there were actually a KOA. September should be perfect. Kids back in school and no breaks. I would absolutely do it again just pick a different time of year. I know you were both a bit grumpy (we have days like that also!) but what amazing pics you got! 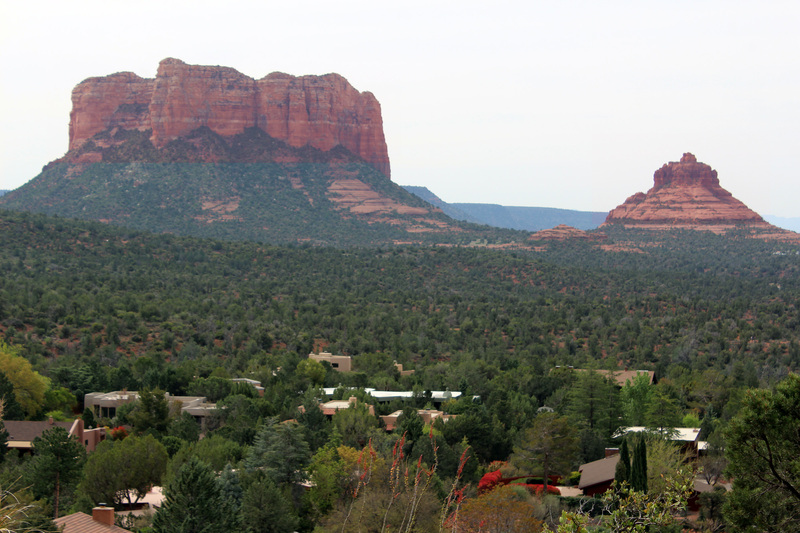 We loved Sedona and we did walk the main street and shopped a bit – pre full-time days. I agree completely with your comments about paying – again (over and above your $80 America the Beautiful pass) – to see PUBLIC lands! Not nice! Seems you made the best of it and got to see some awesome views anyway! 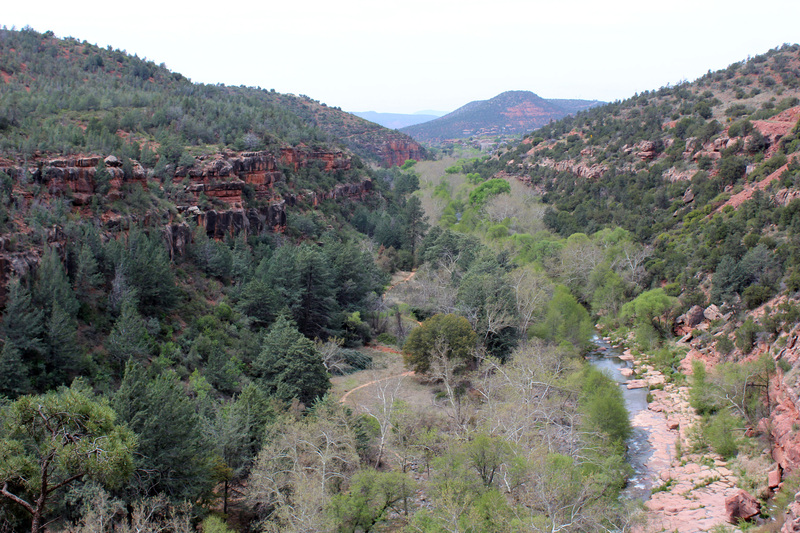 We also loved Oak Creek Canyon – gorgeous ride and there are places to pull over for pics (we had a car at the time – not sure about parking the dually). 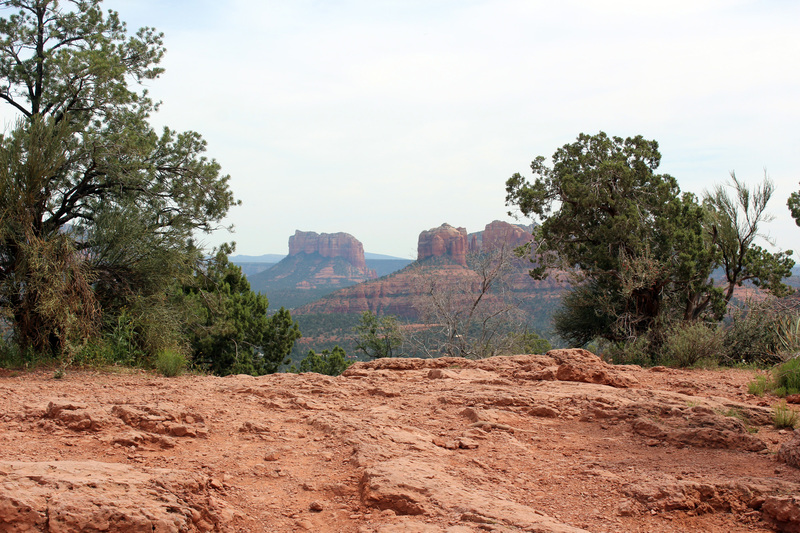 We absolutely loved the views in and around Sedona and we’re also frustrated with the lack of parking and high costs. Great photos! 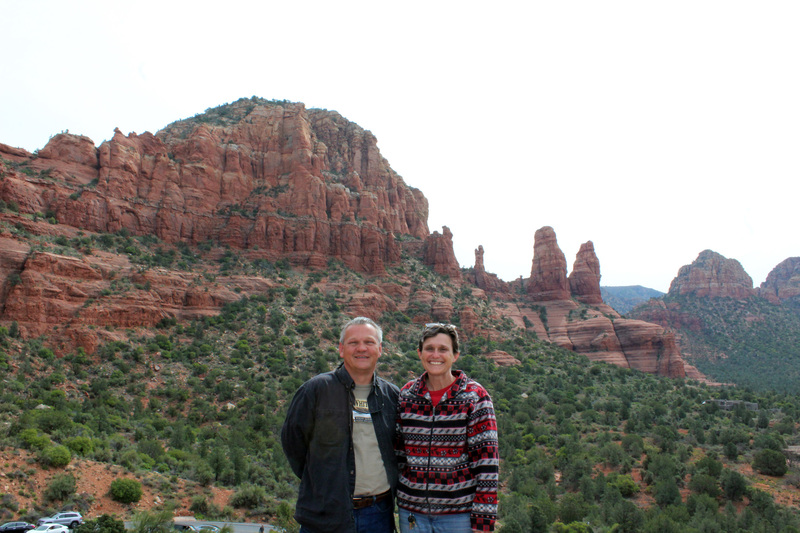 We’ve have never been to Sedona. So we really appreciate the effort you made to share some wonderful photos. If we get the chance, we will heed your advice to avoid March-August. Love the photo of you sitting in the tree:o)) Sorry you were so frustrated with a day that should have been a wonderful experience!! Another great post with details on your experience. It just reminded me of a time my husband and I visited Muir Woods in California, but never saw the place because we couldn’t find a parking place! Thanks. 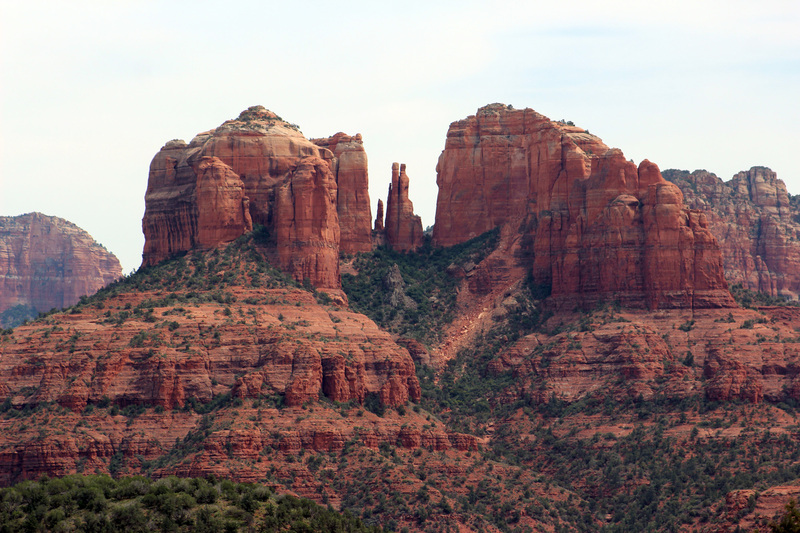 Look at Bell Rock. Pretending it’s a face looking at the sky. Chin to the right, forehead to the left. Highest point is the nose. Mouth is slightly open. 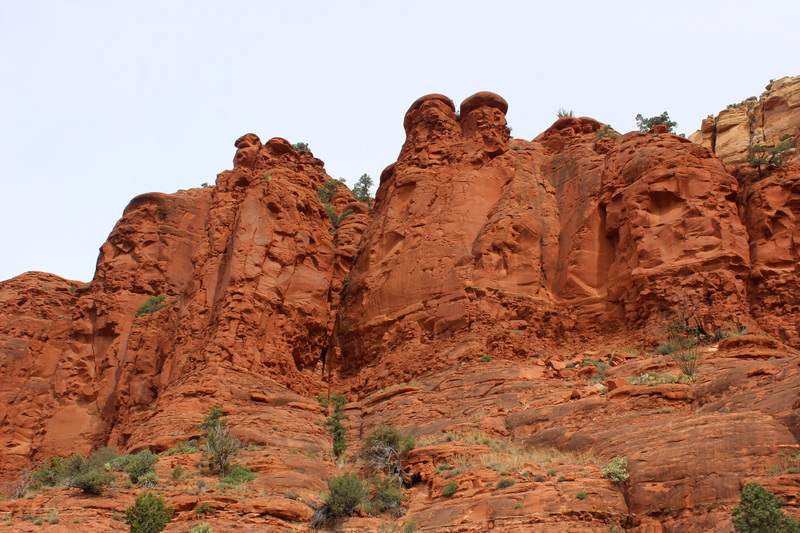 Then look at the silhouette on each end of the top of Bell Rock. Reminders of Easter Island statues. Enjoyed the view from our home for the past 20 years. 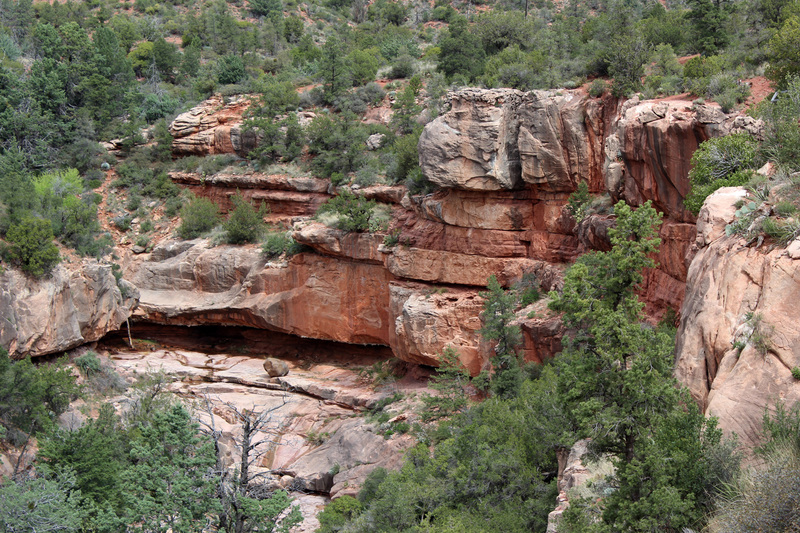 I found the same road on the lower red rock loop. I also shot the same tree. I soul of suggested you tried the val verde railroad, and had lunch at su casa. Also, jerome was a great little town. Hello there! What a great review! My boyfriend and I were there in the beginning of this month, absolutely gorgeous!! You’ve shared some lovely pictures!! I wanted to let you know something for when you go back…. Those jeep tours did look nice, and although pricey, renting your own buggy or atv’s I personally think is the best way to go; many don’t know this is a option. What I liked about it was that we could stop and take pictures whenever the heck we wanted to, unlike the jeep tours + you get to enjoy the off roading! Just thought I’d share. Keep loving life and the natural beauties in the world! PS. I agree with Linda on your smile! Thanks Mel will definitely keep that in mind for next time!! Great photos! 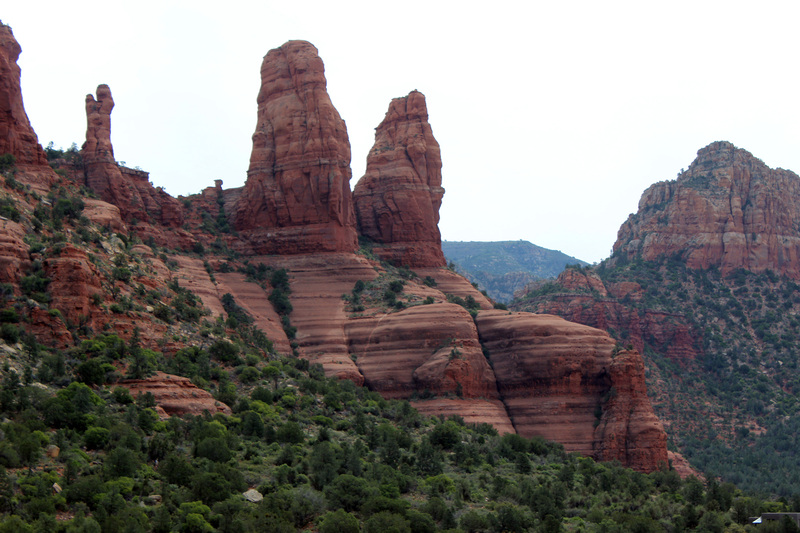 Looks a lot like where we just were in Utah with the red rocks and awesome formations! 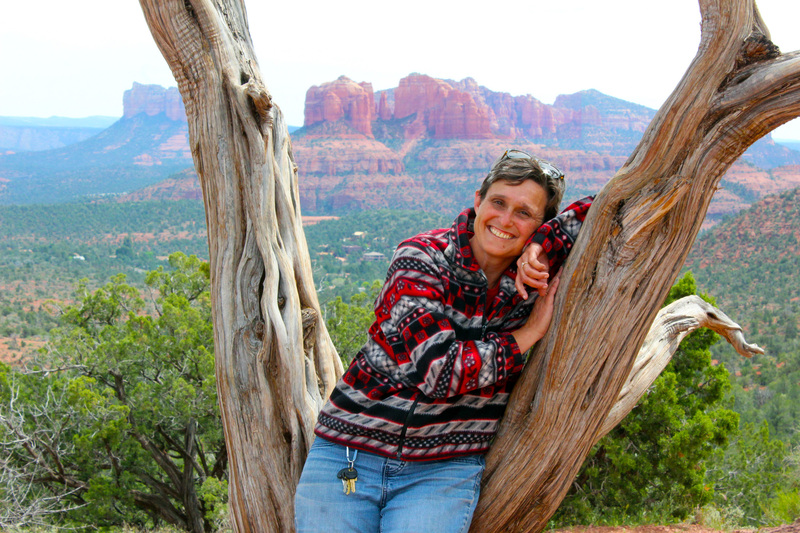 Your thoughts on Sedona are interesting as friends of ours did Sedona last year and said pretty much the same thing so we took it off our bucket list….I absolutely agree with you on the frustration with the extra money required to visit some public land above and beyond the Annual Pass (I’m okay with paying extra for camping, special services, etc. 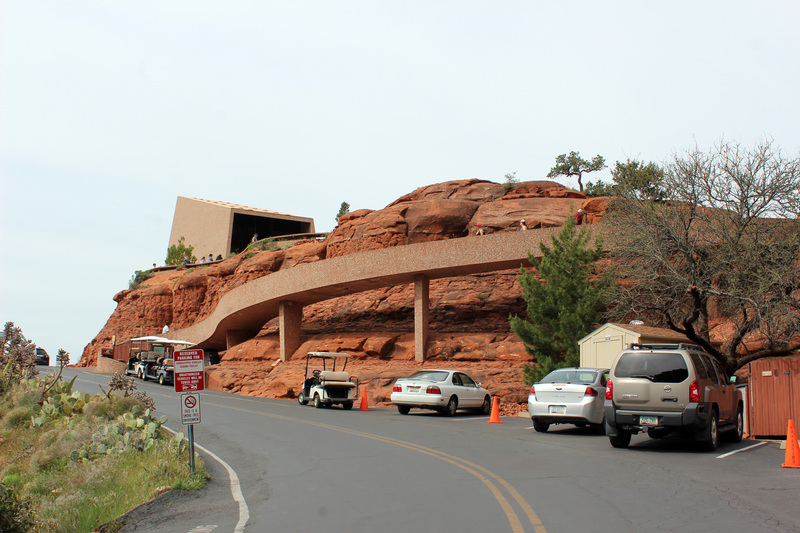 but not to pull off a road to take pictures or do day hikes) lack of parking/access in the busier areas and particularly the special access by for profit companies. 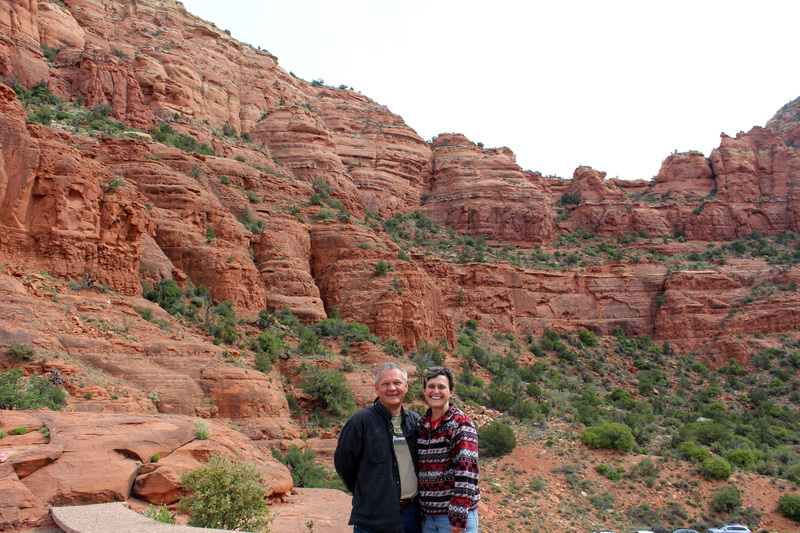 Sedona, for Greg and I, was a wonderful, beautiful place to experience and hopefully go back to in our 5th wheel. 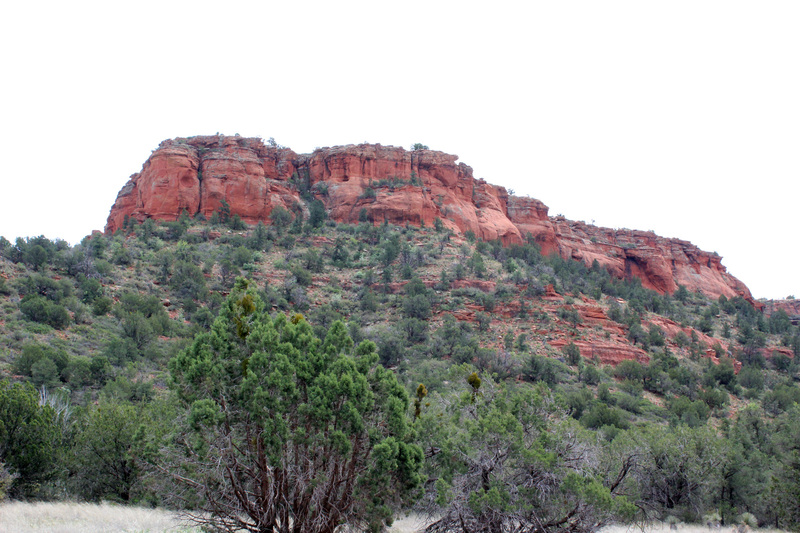 While there we visited several campgrounds for our future travels. The scenery was never boring. I would recommend visited at least once. Thank you for a wonderful post. 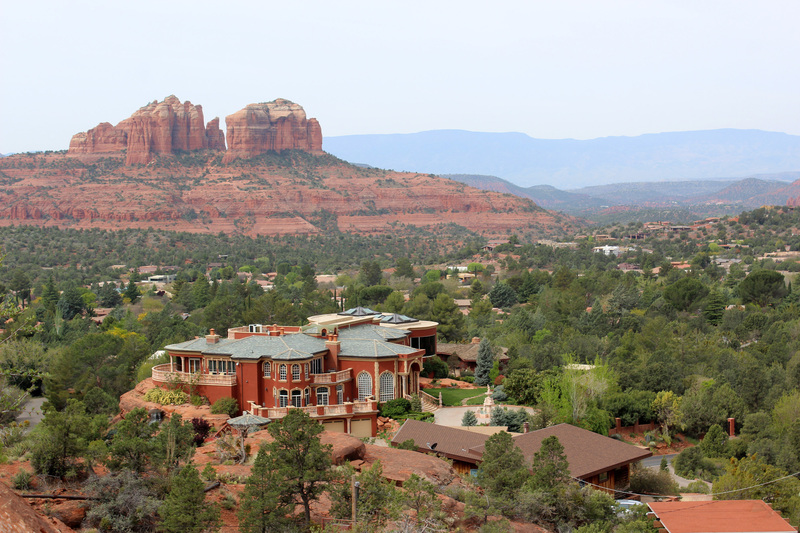 We love visiting Sedona off season. Not too many crowds but we can do that as we are retired. We have the National Park Pass but never are upset when the pass does not get us in for free as we understand when that happens that particular location has been contracted out to a company to run the location. Our wonderful parks have been so challenged by the many budget cuts that they have to do whatever they can to keep the parks going. I gladly pay for our parks. They are worth every penney. Thank you again for your great posts. 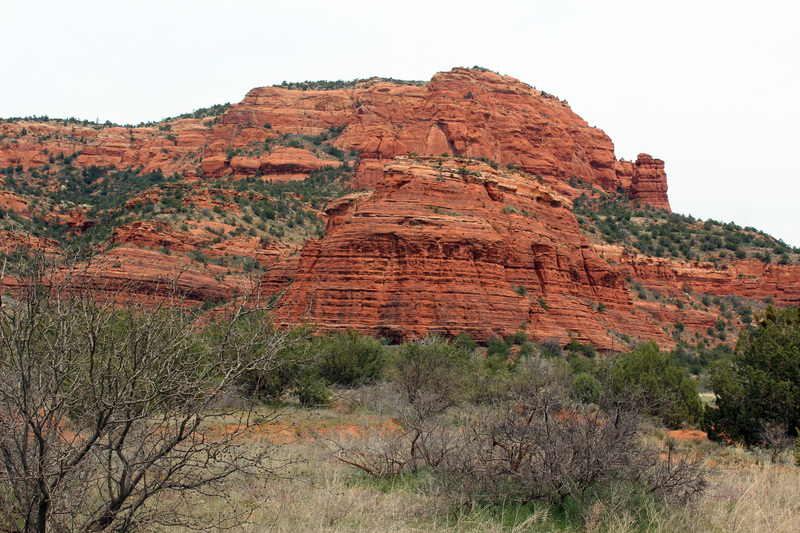 We have been to Sedona several times and really love the hiking trails. 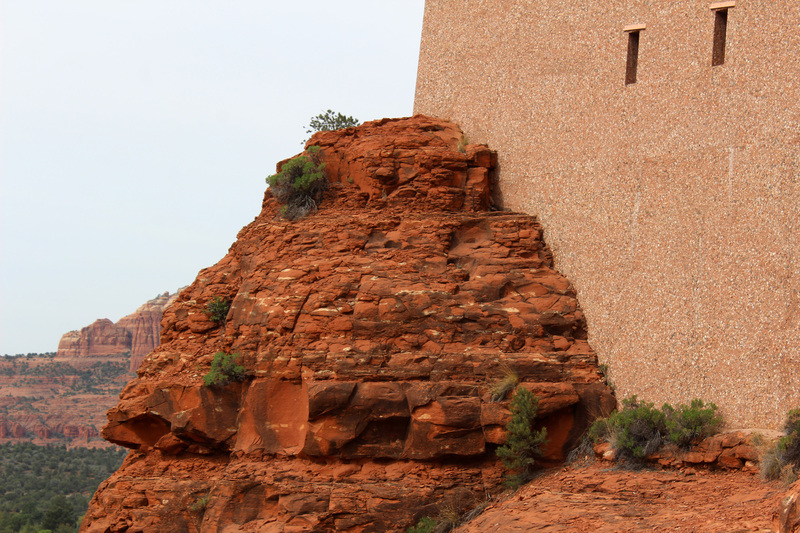 We usually just bite the bullet and buy the Red Rock Pass. 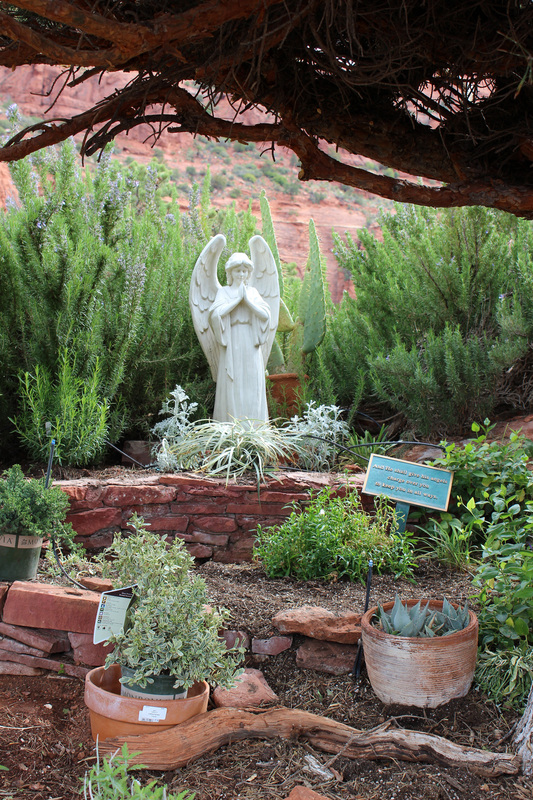 February is a beautiful time to visit as you can still get some cooler weather (and the occasional snow flurry). Wow. Bad attitude. 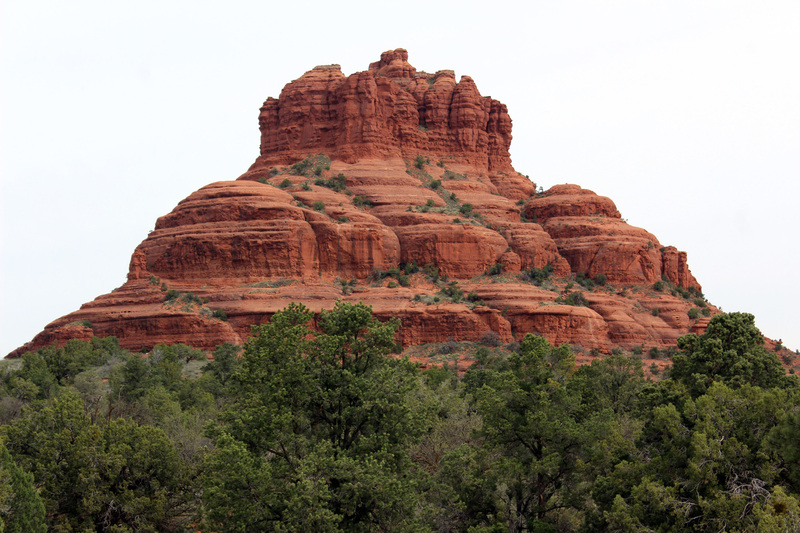 You brought it with you and inflicted it on Sedona. Of course it takes patience to visit any well- loved area. Try visiting again with the notion of visiting instead of impatiently cutting one more notch on your visitation stick. Reader’s, don’t let this sour grapes catharsis discourage you. Wow. I’m sorry you see it that way. I was pretty upfront about my mood going in and to be clear would recommend seeing it to anyone. That being said there are clearly problems that need to be resolved. As far as your comments regarding my experience stick, there may be an element of truth in that but on whole I think that’s pretty unfair. If you have been reading this blog (which I doubt) you would know I often find joy in simple things. 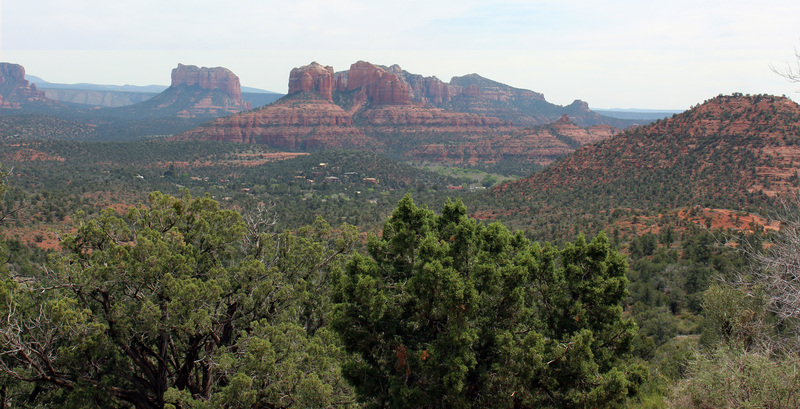 For something as amazing as Sedona I expect more. Hope to find it next time.